Self-adhesive labels fold in half and stick together to create insertable tabs--no need for separate insert and plastic holders. Durable construction resists tearing or bending. Improved adhesive guarantees labels stick and stay. Make your files easier to find and look more professional with these self-adhesive labels that fold in half and stick together to create insertable tabs—no need for separate insert and plastic holders. Durable construction resists tearing or bending. Improved adhesive guarantees labels stick and stay. 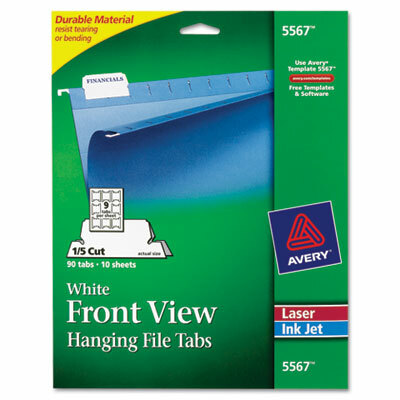 Great for organizing hanging file folders so you can find what you need at a moment's notice.